The salon is for men just as much as it’s for women, and for many men, one of the primary reasons they visit is for beard services. 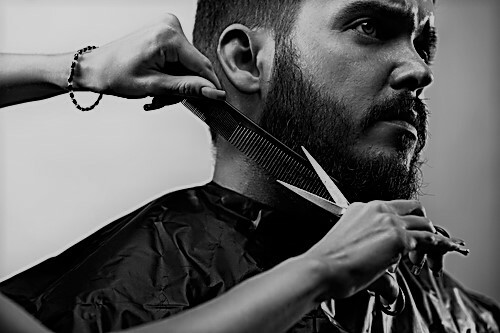 At Collectiv Academy, our barber school program includes all the knowledge you need to shave, trim and style the various beards you may see in the field. What are some of the chief considerations you have to take into account when working with a variety of beards as a barber? Let’s take a look at some of the most important factors in styling a beard. Everyone’s hair grows differently, and as a stylist, you’ll be expected to give tips and advice on the sorts of styles that might match up with a person’s hair. Maybe a client is in love with the idea of a thick, logger-style beard…but their facial hair is spotty and relatively thin. It’s your job to find the right ways to lead them in a different direction, and one of the best ways to do this is to have a better alternative at the ready. We’ll give you all the little tricks to spot good style options based on your clients’ hair growth. All employers will view beards differently, and some of your male clients may ask you for your recommendation on keeping it “professional” within the workplace. These customs can vary slightly depending on local culture, so as a barber, be up to date on these sorts of trends. In addition, being as knowledgeable as possible on acceptable standards will help you give the right advice. There are dozens of great shaving products on the market depending on the individual need, and a big part of your job is pointing clients in the right direction. We’ll give you detailed training on the full range of products, and how to spot which might be right for a particular beard style. Different parts of a given beard, especially a big one, will grow in different directions. For the man who desires a well-combed beard, some “training” of the beard will be required – this involves repeated combing in a certain direction to define its growth and shape. You’ll need to know the proper techniques here, plus how to accomplish them without causing any pain or discomfort. Want to learn more about beard styling, or interested in any of our other cosmetology school services? Speak to the educators at Collectiv Academy today.